Podcasts are an exciting new medium in the entertainment industry. Podcast listenership continues to rapidly expand. In response, many podcasters have turned a profit by monetizing their podcasts. For the new entrepreneur with a personal podcast, this new industry can be a great chance to make money by being creative. However, having a podcast and having a podcast business are two very different things. If you want your podcast to profit, you need to navigate the market carefully. These five steps will help you take your podcast and start a real podcasting business. Take a close look at your podcast and determine what changes you need to make it profit ready. When you got over the fear of public speaking and started your podcast, you did it for fun, and probably didn’t pay attention to quality. As a result, your podcast is sincere and interesting, but not consistent. Without that consistency you can’t attract bigger audiences. For example, work out a production schedule to guarantee you release podcast at regular intervals. This will help retain your audience, since they’ll know when new episodes come out. This might have begun as a hobby, but this now your business. Produce your podcast like a professional. Invest in good quality production equipment. A phone mic and free editing software might work for an amateur podcast, but not a for-profit one. Purchase a good microphone, editing software, and audio recorder. The quality difference with these tools will be immediately noticeable to your audience. That audience will perceive you as a professional if they can hear it in the quality of your podcasts. That professional label will bring you new audience members and greater chances at profiting. Now that you have a good product, make sure you have wide distribution. The best way to do this is to your RSS feed to podcast directory. This RSS feed will contain all your shows which are hosted by a cloud provider. You submit the feed instead of files because the feed will update all your distributors automatically when you post a new episode. You should distribute to as many podcast directories as possible. This will guarantee that your podcast has maximum chance of attracting audiences. You’ll need to work to attract an audience online. You are unlikely to turn a profit at a podcast business unless you can command a very large audience for every episode. A lot of this you can do by encouraging listeners to suggest the podcast to friends. Make sure you do this in every podcast. This engagement will make the audience think you’re making a connection with them. This engagement should be reinforced on social media. You’ll not only attract new listeners but cement loyalty in your existing ones. Remember your ability to make money at a podcast is determined by audience size and engagement. 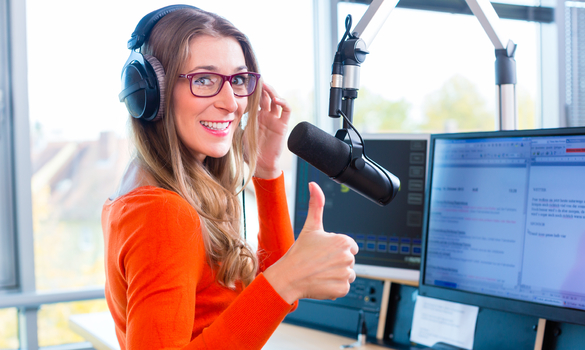 Now that your podcasting business attracts a large audience, it’s time to make money. It’s time to locate a company to advertise on your podcast. To get a sponsor or advertiser, you’ll need to statistics on your audience that you can present to an advertising manager. Make sure you have large audience and you can identify target characteristics. With these you can approach a company and show them the benefits of advertising with you. Make sure to cut a deal that lets you profit as well. Bring your entrepreneurial skills to bear in this moment to secure the best arrangement. Podcasts can be a great business model. However, to build a successful podcasting business, you need to keep these steps in mind. Make sure your podcast is up to professional standards. Upgrade your equipment to boost the content quality. Use RSS feeds to spread your podcast. Build loyalty with your audience. Then make use audience analytics to secure a perfect sponsor. These simple tasks will turn your personal podcast into a profit-making business.